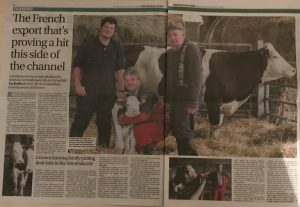 See below for the full article which appeared in the Western Press- thanks to member Andrew Jones of the Meshaw herd for the good coverage….. 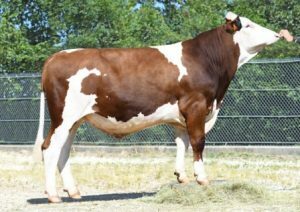 This proofs’ release brings a great selection and as always, Jura-Bétail is offering you the best of the Montbeliarde genetic through performances and diversity. 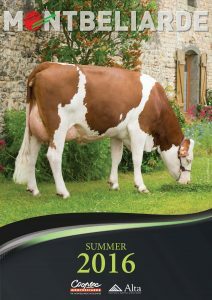 # HARPON JB, 160 points of ISU, number 1 of the breed among progeny tested sires! 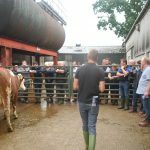 # 9 new genomic sires for the export range with an average of 147 points of ISU, +662 kg of milk, 113 in Total Type, 115 in Udders and coming from 9 different sires of son. 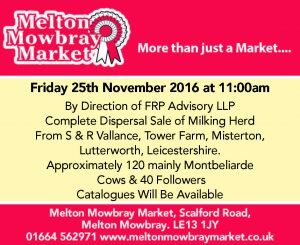 – Milk: NORTUG JB (Milk + 1,174), MARITON JB (Milk +1,129), MERCATO JB (Milk +1,117), JOSTIK JB (Milk +1,066) and MIZUNO JB (Milk +1,018). 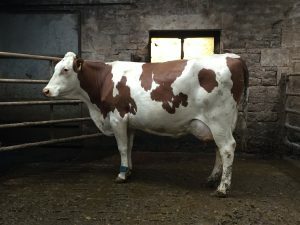 – Terrific udders : MAULEON JB (UD 128), NANTUA JB (MA 126), NUMERIC JB (UD 125), MAXENT JB (UD 125) and NAZDAK JB (UD 123). 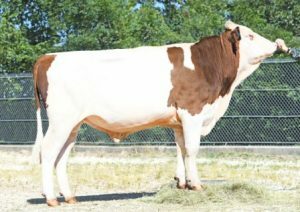 – Crossbreeding: NINO JB, MAULEON JB, NITCHI JB, MEETIC JB, LINAO JB, NAILLAC JB, MIZUNO JB, NEXEN JB and LATINO JB. 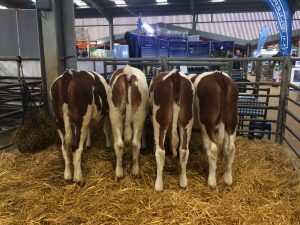 – Calving ease: MAGIC JB, JUMPER JB, IMATUR JB, NINO JB, JERRY JB, MEETIC JB and JISCO JB. – Type: JITEUF JB (Ty 125), MAULEON JB (Ty 122), MEMORY JB (Ty 120) and LUDIC JB (Ty 120). – Milk: HARPON JB (Milk +793), FUNKY JB (Milk +690) and ITACHI JB (Milk +654). – For robots: HARPON JB, ITACHI JB, HIGORA JB, FRACAS JB and HELLEAN JB. 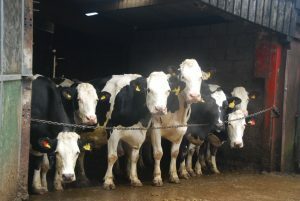 – Terrific udders : FLIPEX JB (UD 121), FRIPON JB (UD 120), GALPAGE JB (UD 118) and HAENDEL JB (UD 116). 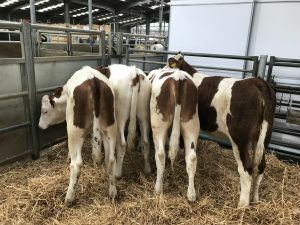 – Healthy udders with ABSOLU JB (UdHe +1.9), VALFIN JB (UdHe +1.8) and HIGORA JB (UdHe +1.6). – An outstanding reproduction with GALPAGE JB (+1.1), HAMID JB (+1.0) and GRANIT JB (+0.8). – Type : ESPRIT JB (Ty 117), HAENDEL JB (Ty 117), FLASH JB (Ty 117), HONORIS JB (Ty 116) and FLIPEX JB (Ty 115). HARPON JB, MAULEON JB, NITCHI JB, NAILLAC JB, MIZUNO JB, MERCKX JB, MALOX JB, MARITON JB, MODELO JB, LISTORY JB, LIROUD JB, LUCHO JB, JINOX JB, IOSHI JB, HEFFROI JB and HIKORIS JB. 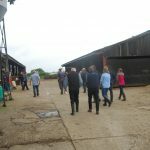 Last Wednesday, 22nd August 2018 we were kindly welcomed to Graham and Amy Morton and family’s Simpsons Farm at Sameslbury, Preston, Lancashire as the venue for our Annual Open Day. 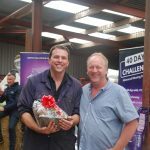 It was a fantastic day for the Monty breed, with a well run farm who were very open and welcoming on their breeding, dairy system and practices, and well over 80 people, a mixture of members, friends and breed enthusiasts were on hand to enjoy the farm, food and presentations from experts such as Duncan Rose of Carrs Billington who discussed the feeding on farm, and Ferreol Roche of Coopex who discussed the breeding. 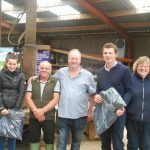 Well done to our stock judging winners – Jack Gascoigne, Pauline Pilkington and Juniors Thomas Pilkington and Olivia Grindley. Thanks also to our master judge Dave Shorrock of Alta. Thanks to everyone who made the day a huge success. If you are a potential new member then membership forms can now be downloaded from our MEMBERS page. 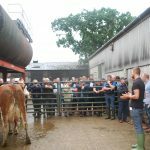 Our next breed promotion will be at Telford as part of UK Dairy Day on 12th September – see you there. 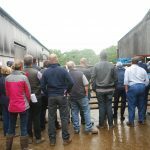 The herds competition results were announced at our AGM on 21st August – the full results can be downloaded here – well done to everyone – visible breed improvement year on year !! 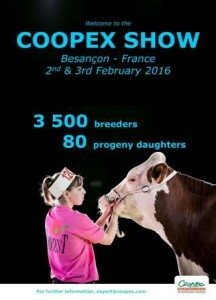 Lets showcase our breed at this leading dairy industry event! Further details to follow but save the dates now. 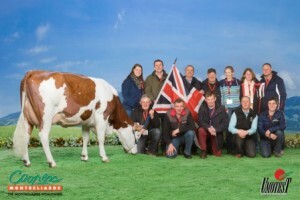 Graham and Amy Morton and family of Simpsons Farm, Lancashire were crowned Dairy Farmer of the Year at the 2018 Northern Farmer awards presented in front of over 450 guests at the Pavillions, Great Yorkshire Showground, Harrogate on Thursday 15th February. 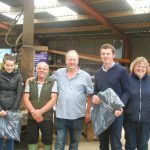 Graham and Amy were selected ahead of the other finalists Angus Gaudie and Ed Goodall for their unique approach to feeding by daily weighing of the milk cows, as outlined in the Farm Feature run in the 2017 The Full Montey. On Monday, December 18, 2017, Jura-Bétail and Jura Conseil Elevage (Milk recording in Jura) have merged to create a new cooperative named “Eva Jura”. If you have surplus stock to sell please get in touch as there is demand out there!! 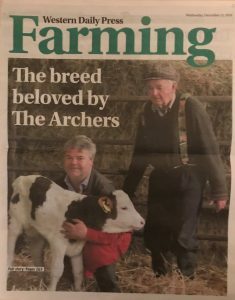 There was good publicity recently when Peter and Kath Wood of Shottle Montbeliardes were featured in the Farmers Guardian, click the link below if you missed the article. 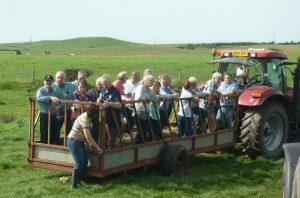 Just a little reminder that the next event on the Monty calendar is the AGM on Tuesday 5th and the Open Day on Wednesday 6th September in Derbyshire. The meeting of the AGM itself will be held at The Boars Head Hotel in Sudbury, Derbyshire, DE6 5GX (www.boars-head-hotel.co.uk) at 7pm on the 5th September and as in previous years will finish with a three course meal and great company. 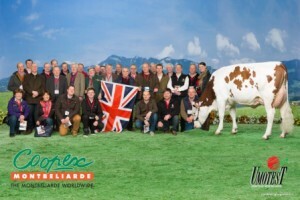 We will also present the results of the 2016 Montbeliarde UK Herds Competition- which has been for pedigree registered animals – all on automatic entry. The cost of the meal is £21.95 per head, whilst the venue does not require a pre-order for the meal this year, we must have confirmed numbers for the meal by no later than Saturday 26th August. 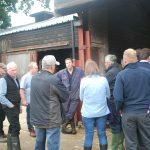 Wednesday 6th September will involve a farm visit to Phillip and Kate Smith of Smiths Farming Ltd, Lower Castle Hayes Farm, Needwood, Burton on Trent, Staffordshire, DE13 9PH for our Annual Open Day. 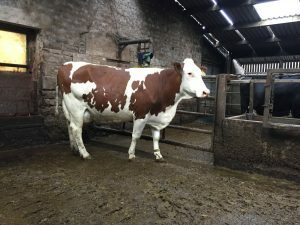 This is a 300 cow unit, which calves mainly in June and July and is on 2nd and 3rd cross with the Montbeliarde. There will be a few presentations and competitions during the day and lunch provided as well. or alternatively, you can call Sophie on 0114 248 0608. You are welcome to arrive on the Tuesday evening so you can start early on the Wednesday, and leave on the Friday so! To organize logistic and accommodations, booking needs to be confirmed by June 20 at the latest. 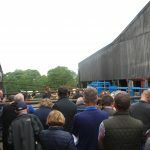 Entry forms for the forthcoming sale at Harrison and Hetherington, Borderway Mart, Carlisle are now available for download. 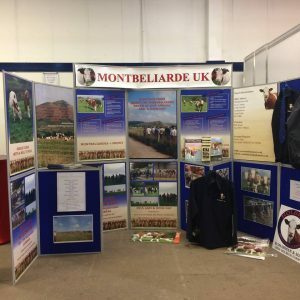 Many visited the Montbeliarde UK trade stand at UK Dairy Expo on Saturday 11th March, with over 60 people entering our calf judging competition on the stand. 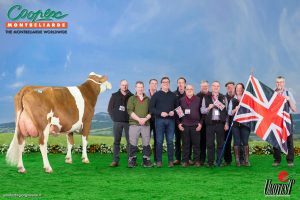 Thanks to members who joined us on the day, to support us welcoming and talking to visitors on the stand and once again to Michael Wilson and Laura Teesdale for bringing the calves and making the first show for the Society such a success! We have had a student from Sparsholt College with an interest in Montbeliardes contact us to see if any members would offer her a three week placement in late February – early March. If you can help and could use the help please get in touch with the secretary for her contact details. On the March 22 2017 will be our Montbeliarde Genetic Day at the Parc Expo in Dole. It’s an inescapable meeting for Jura-Bétail and all Montbeliarde lovers around the world and we would be pleased to welcome you and enjoy with you 3 days in the Jura area. and let us know as soon as possible about your coming! The Coopex Show 2017 which will be from the 30th January till the 2nd of February. To book it please contact as usual Bay Farms Tours. 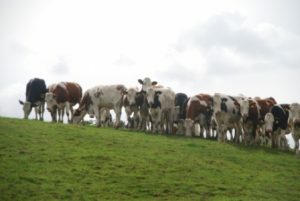 A study of the performance of Montbeliarde cross Holsteins on British farms. 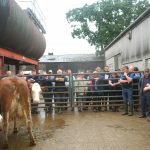 Many thanks to all members who joined us at Newby Bridge on 6th September for the AGM, when last years herds competition results were announced. Results attached. 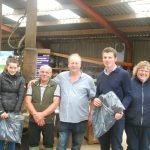 On the 7th September we were welcomed by the Wilson family to the Blackcombe herd, where the sun shone and over 60 members and friends enjoyed a varied, interesting day in the sun, seeing a tremendous herd of top class Montbeliardes. a great thanks to our hosts for a great visit ! 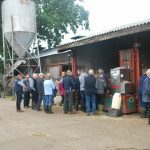 Please can you make sure that you have notified the secretary on 01609 748385 or emailed montbeliardeuk@hotmail.co.uk by the end of today Thursday 1st September with your menu choices for next weeks AGM at Newby Bridge on Tuesday 6th September. 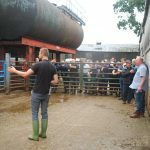 There is still time to book places for the annual open day on the 7th at the Wilson’s, Blackcombe herd as well. 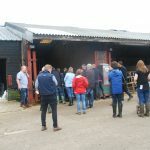 Don’t forget the annual herds competition results will be announced at the AGM, which is automatic entry to all members – the results are now in and there are some new herds and animals in the top 10 in each category – why not come along to see if it’s you !! 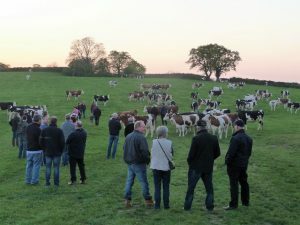 By now all members should have had notice of the AGM to be held on Tuesday 6th September in Cumbria at the Newby Bridge Hotel, if you plan to attend please book menu choices ASAP with Sarah Liddle the secretary on 01609 748385. 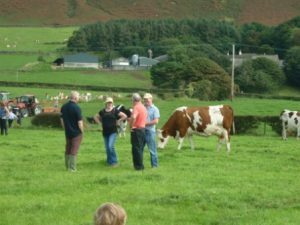 The Open Day is on 7th September from 10.45am at the Wilson family’s renowned Blackcombe herd, again please let Sarah know if you plan to attend for catering purposes- all welcome – members and non members alike! 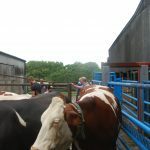 It’s a massive opportunity to see pure and crossbred cattle and meet monty enthusiasts! 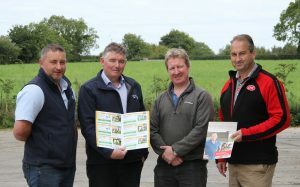 ProCROSS – the only three-way dairy crossbreeding programme in the world to be underpinned by independent research – will be marketed in the UK by ABA Viking. 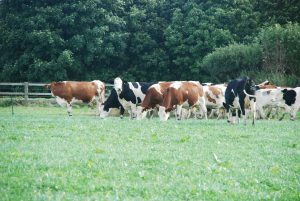 Greater emphasis will also be placed on genomic bulls, in line with customer expectation to be at the forefront of scientific advance. 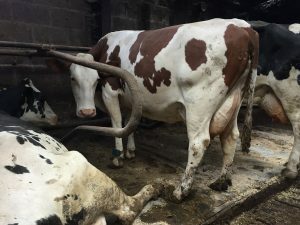 ProCROSS is the rotational breeding of Montbeliarde over Viking Red and Holstein. 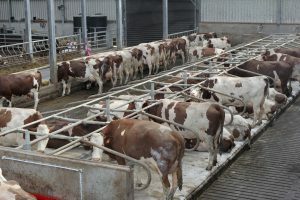 Three-way crossbreeding is more successful where there is the most genetic diversity, while maximising the complementary strengths, between each of the breeds. 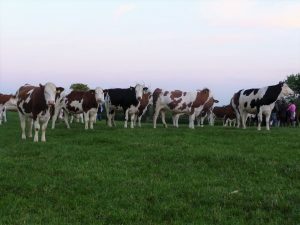 The ProCROSS combination outperformed others in independent trials at the University of Minnesota as a result of the higher production potential of Viking Red and Montbeliarde, compared with the other Red and Alpine dairy breeds. 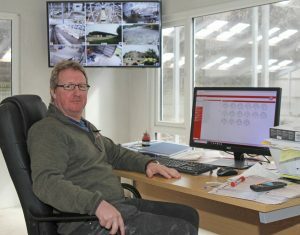 Roger Trewhella of ABA Viking commented: “It will be far easier for farmers to be able to source those sires best suited to ProCROSS among the Viking Reds, Montbeliardes and Viking Holsteins. This marketing agreement follows the termination of the previous arrangement with ABS Genus, and becomes operational from 1st October 2016. 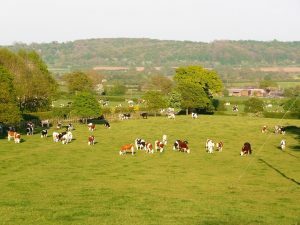 The BVDFree England scheme was launched on the 1st July 2016. 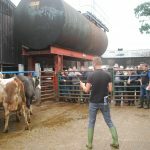 Montbeliarde UK as a Society has agreed to support the national scheme and would encourage all our members to read the attached factsheets and enrol in the scheme that is focussed on eliminating BVD. If anyone has any further questions please don’t hesitate to contact us. 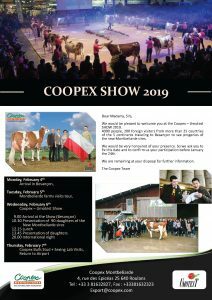 Coopex have released new figures since the June proof run, their new brochure contains updated information on the breed in France, new bulls that have been launched on to the market and all the bulls that are available for sale through either ALTA UK or R Breeders Ltd. 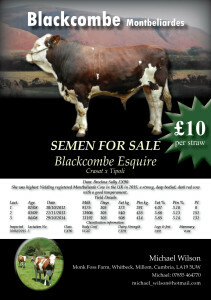 The Blackcombe herd in Cumbria has just launched a bull, Esquire. Thanks to Ferrol for sending us these great pictures ! New figures have just been released. This years AGM and Open Day date has now been set. 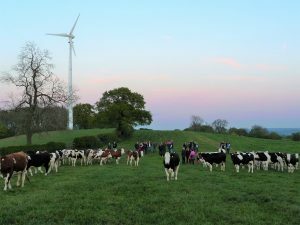 The AGM will be on the evening of 6th September and on the 7th September (the following day) we will enjoy a herd visit to the fantastic Blackcombe herd of Michael Wilson and family at Monk Foss Farm, Millom, Cumbria. 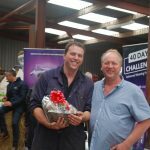 Michael will be well known to members and non members alike as a past Chairman of Montbeliarde Uk and his herd is renowned for both type and production – as last years inaugural Herds Competition showed. More details will follow – including the AGM and meal venue, but put the date in the diary now ! 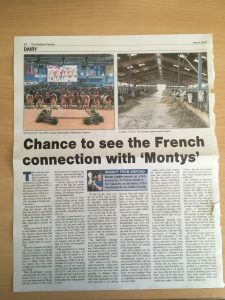 Many members who attended the 2015 Montbeliarde Uk AGM and Open Day would meet one of our French members, Nicholas Perrodin, who has recently judged the Concours Général de Paris where the National Montbeliarde show was held on 28th of February in Paris during the Agriculture show. We hope Nicholas enjoyed his day, and will be in the UK visiting us again soon. 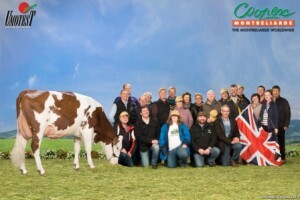 Please consider visiting the Montbeliarde stand at the UK Dairy Expo on 12th March – Borderway Mart, Carlisle. If your’re a local member and can spare a few hours to help ‘man’ the stand that would be greatly appreciated as well. Our stand in number 44 – see you there! 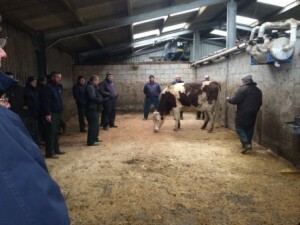 It was a very interesting and useful day when Meurig James and his team of classifiers joined a group of members and non members at the Cotton family’s Ridgedale Herd near Stoke on Trent on Wednesday 2nd March. 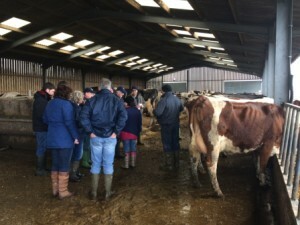 Everyone enjoyed great hospitality, a farm walk and lunch. 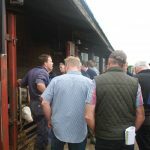 We also had the chance to discuss the direction of the breed and classification, with members keen to keep strength as a main factor in the breed going forward. Montbeliarde UK is delighted to announce a Classification Workshop on 2nd March 2016. If attending please use postcode ST10 4HY in your sat nav. 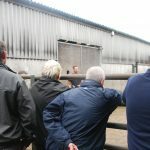 The day will commence at 10-10.30am with the classification workshop and then there will be chance to view the herd. 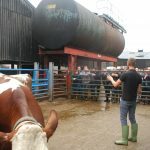 This is be open to all members and will be held by kind permission of Andrew and Teresa Cotton at High Ridges Farm, Tean, Stoke On Trent, Staffordshire, ST10 4HZ. Please book places if you plan to attend with the secretary, it is hoped a second workshop will be held further north later in the year. 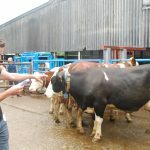 This will be your opportunity to shape the type of animals which the classifiers score in each category and be an important part of the breeds development going forward. Coopex invites you to join them for the Umotest Show 2016. 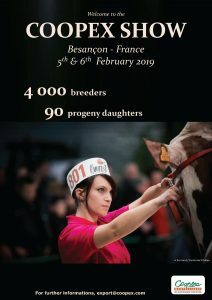 3500 persons, 200 foreign visitors from more than 25 countries of the 5 continents will travel to Besançon to see progeny of new Montbeliarde sires. Anyone interested in attending should confirm their participation with Coopex before January the 15th. Montbeliarde UK wishes friends and members all the best for 2016. Annual memberships are now due as per letters sent out last month, please complete your standing order forms and return them to your bank.